BlackBerry messenger is an messaging application via Internet, Earlier it was only available on BlackBerry devices but Know they say that BBM will be available for Android and iOS Devices too. BBM is the most fastest, extremely helpful and most secure Application for messaging Via Internet. BlackBerry Messenger will be available for download on Google Play Store and Apple App Store before the end of summer, on Friday, September 20th. 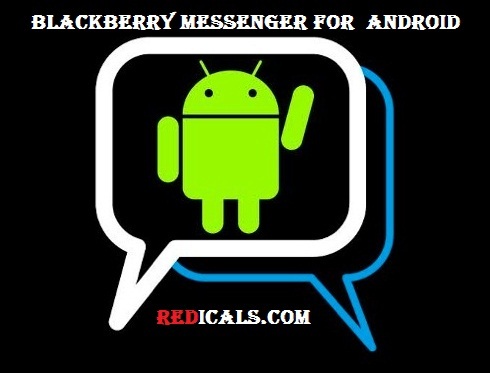 BlackBerry Messenger is Similar to WhatsApp, which is one of the most popular service available on Android, BlackBerry and iOS. NOTE :- BBM for Android will only work on devices running on Android OS 4.0 Ice Cream Sandwich or higher. BBM for Apple will only work on devices running on iOS 6 or higher. Blackberry told that the BBM service will be absolutely free on Android and iOS devices. So if you are looking to try out BBM for Android, then you have to submit your email address to Official Blackberry website to get notified as soon as they launches application for android.